Some people know how difficult it is to live with a single food allergy. It's not something that I'd ever wish on anyone. However, do you have any idea how difficult it is to eat safely if you have multiple food allergies? Or, a special diet with a food allergy such as Paleo, but nut-free? Or Vegan but allergic to legumes? I think the most difficult thing we’ve seen is when a parent, who has never personally experienced a food allergy has a child with severe or multiple allergies. The load those parents carry is emmense, and when the make even a tiny mistake, the emotion toll it takes on them can be devistating. Many who are first diagnosed honestly feel like there is nothing to eat—no matter how simple or complex their food allergy diagnosis is. We're contacted almost daily from people who need help, and we are doing all that we can to help support their needs. With all of that in mind, we have set out to create a series of resources for people that are in great need of them. There are wonderful medical resources available for people living with food allergies. There are also great blogs, most of which are single allergy or single diet type focused. That's what sets us apart. There are few resources that are tackling so many needs all at the same time. Additionally, there are only a few in-person resources available like the one we are trying to give to people. That's what the Food Allergy Awareness Expedition is really all about - meeting people on their journey, and helping them along the way. The goal of the Food Allergy Awareness Expedition is multi-layered. First, we are putting together a very unique online resource that will help people find the information they need. Currently, a lot of information is fragmented online. A littler here, and a little there. We seek to create something similar to a rolodex, so people can get to where there going much faster. Second, there's the touring portion of our goal. Although we have books, a blog with free recipes, and videos online, there's something so magical about being able to talk to a person face to face. Being diagnosed with a food allergy is such a personal edperience, and personalized, face-to-face help can be more help than a person ever imagined. Sometimes that initial diagnosis can be almost dibilitating, and people don't even know where to start, and that's why we're going straight to them. People will have a unique opportunity to just talk to someone that honest-to-goodness knows exactly what they're going through. The Allergy Chef and Team does because we truly know what it’s like to live with life-threatening food allergies, day-in and day-out. And when we say there’s nothing to eat, we know what that means, too. So, meet us on the Expedition. Learn from us. Grow with us. We will be sharing companies, brands, products, recipes, resources, tips and techniques to keep your meal experiences safe and delicious. We are here to meet your needs and serve the food allergy community in any way that we can. We have been blessed to be able to help so many already. Here's what a few of them have had to say. *You were a huge help. I can't tell you how much I appreciated you insight and resources. It likely saved his life. The main one was corn. That's his deadly allergy. Corn was in the most unsuspecting places and if you hadn't told me about it we would have been so lost. His doctor didn't even know what you do. Thank you again. *I just have to tell you, I've never seen my students this engaged with anything before. Thank you. *An inspiration!! We love her work in the allergy community. 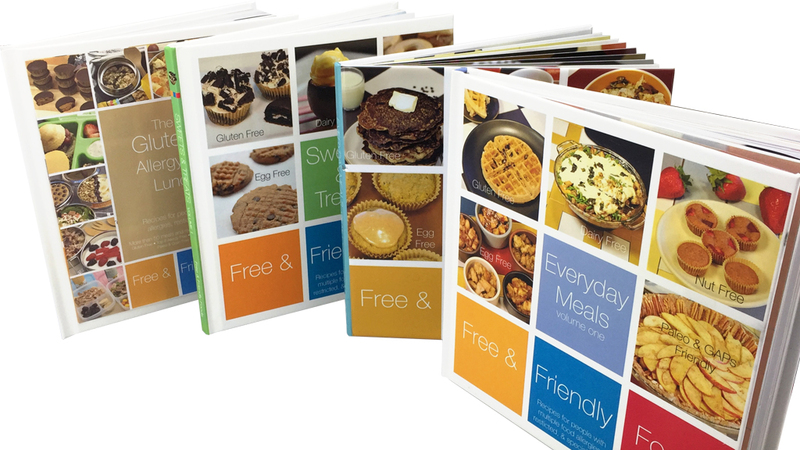 *Hey, I'd like to take a moment and thank you for your awesome work in creating allergen friendly recipes. Keep up the good work! *You are truly a God-send. I'm crying tears of joy right now. I can't tell you enough how much I appreciate your call today. I look forward to meeting you this summer in person. We understand that not everyone is able to give, and that’s okay. If you can’t give, please don’t let that be a barrier that stops you from reaching out to us to get the help and support that we offer. We understand that special diets can be very expensive. We do have a few companies that have given small sponsorships, and others that have donated coupons and products. Many food allergy friendly companies are small, like us, and don't have huge budgets. In fact, sometimes, that's why people who could benefit from their products don't even know they're out there. That's one of the many things we seek to change. Our hope is that others will help us bring reousrces to those in need by donating. Where will The Expedition Be? We are going through 25 states delivering top 8 allergy free baked goods (vegan, gluten free, and some diabetic, grain free, and Paleo) to those in need. We have events at 30 stops near major cities. We will be visiting grocery stores for demos and giveaways, mothers groups, hospitals and Doctors offices, kids Summer camps, factory tours, allergy friendly parties and tasting events, and The Gluten Free and Allergy Free Expo in Worcester. Kathlena, The Allergy Chef, has been helping people with food allergies for over ten years. She is well versed in many special diets including top 8 allergy free, vegan, paleo, GAPs, AIP, SCD, Low Histamine, Diabetic friendly, and more. She personally has over two hundred allergies and food intolerances, is contact and airborne allergic, and can’t drink most water (we have very special water imported), and completely understands what you face on a daily basis if living with allergies. Despite her personal diagnoses, she hasn’t stopped advocating for the food allergy community. She is a voice that wants to ensure that those in need have access to the right resources. Want to learn more about her? 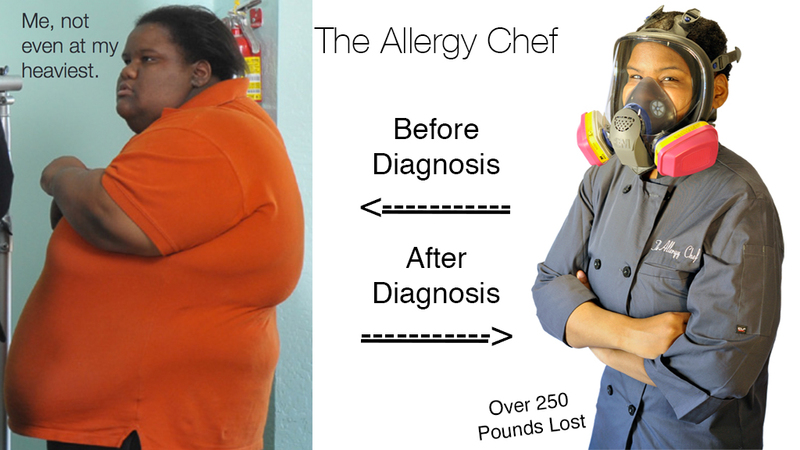 Visit http://www.theallergychef.com. *If you are severely allergic, know about cross contamination. Although some companies disclose if their product is made in a shared facility/line, food producers are not required to disclose that on product labels in the United States. Allergy friendly companies are more likely to disclose this on the package. However, always call if you are unsure. Speak with customer service, and ask, “Has this product been made on shared equipment with or in a shared facility with (insert allergen)?” If it's an item with multiple ingredients, ask them to look up the specs on each raw material as well. *If you live in a mixed household where some have allergies and some do not, and you plan on having the allergens in the house, think about each step of the process—where the allergens are stored in the fridge, cabinets or pantry, how the food is prepared, washed, dried, cutting boards, knives, cookware (non-stick remembers), sponges that you apply to the dishes and more. You will have to take great precautions to not poison your family member. 3. Our team is ready to sleep in the van if we have to. However, if the above needs are met (as well as our food needs), additional funds can be used for hotels and miscellaneous expenses. 4. This one is a wild and crazy dream, but we thought we would share it with you so you can hope with us. The Allergy Chef is not able to stay in hotels, motels or even most homes because of her severe allergic reactions through the air and through touch. She is allergic to the cleaning solutions, soaps, shampoos, perfumes, pets, and more. With that in mind, the van that we travel in will have to be her “safe zone” where she can remove the mask and relax. One of these days, it would be a tremendous blessing if we could acquire a modern motorhome that could be custom built with materials that would cause her the least amount of problems and a filter system that could essentially turn the whole vehicle into a clean room. ** Notes: Company sponsorships consist mostly of product giveaways. Funds received from company sponsorships have been used for food prep, demo tools, and supplies. Most of the locations we are visiting do not have a budget to sponsor our goodwill tour. This is why we are coming to you through "GoFundMe" for help. Our pockets are not deep, but our commitment to the cause IS. There are soo many people newly diagnosed with allergies or special conditions that require help through the maze ahead of them. We know this because we are contacted regularly with questions. For example, if you are allergic to corn, there are well over 200 items common to product ingredients that contain corn but don't warn you, such as baking soda, citric acid, product packaging or even the cleaner they have to use on bottles before they are allowed to put their product in it for sale. People with corn allergies have been contacting us for solutions and learning that they have been poisoning themselves without knowing it. So far, almost everything has been funded out of pocket with a little help from a handful of sponsors. As you can imagine, this is a huge undertaking and we thank you for your generosity. A heartfelt thank you for your support and an E-book of your choice from FreeAndFriendlyFoods.com. A heartfelt thank you for your support an E-books of your choice from FreeAndFriendlyFoods.com, and a Join The Revolution t-shirt. In addition to the heartfelt thank you for your support and all four E-books from FreeAndFriendlyFoods.com, enjoy our custom-made T-shirt: "Join the Revolution"
In addition to the heartfelt thank you for your support, a printed book and an e-book from FreeAndFriendlyFoods.com, and our Join The Revolution t-shirt. You'll receive four signed books, four e-books, and two Join The Revolution t-shirts, and of course, our heart felt thanks. You'll receive two signed cookbook collections, 10 e-books to share with friends, and 4 Join The Revolution t-shirts. Join The Allergy Chef for up to 6 hours to work with you at our SF Bay Area location or remotely. You can gift this or bing others. You also get books & shirts. You and up to 7 guests will be served a custom meal at our location near SF, planned around your needs. Live along the FAAE route? We'll bring dinner to you.